The Dornier Do X (the largest and most powerful flying boat in the world) broke the world record for passengers carried when on 21st October, 1929 she flew with 169 people on board. Because of its massive size passengers were actually asked to crowd together port or starboard when the plane turned (I just love picturing that in my head). The photo was taken on the Swiss side of Lake Constance. 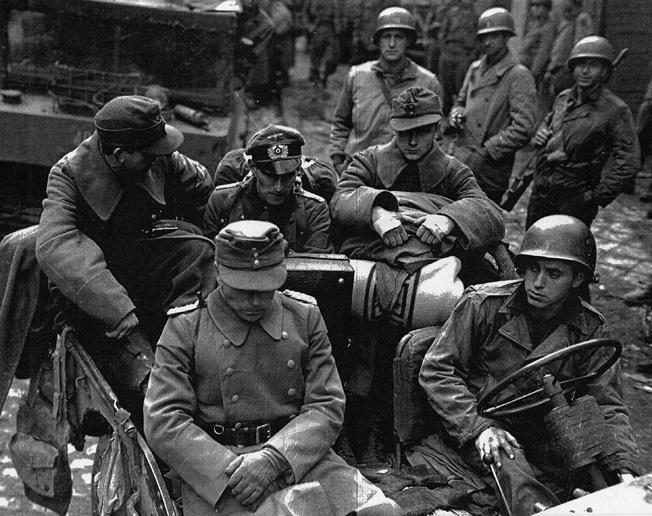 The photo below was taken on 21st October, 1944 – the German Army surrendering the first major city lost in the ‘Fatherland’ in WW2. 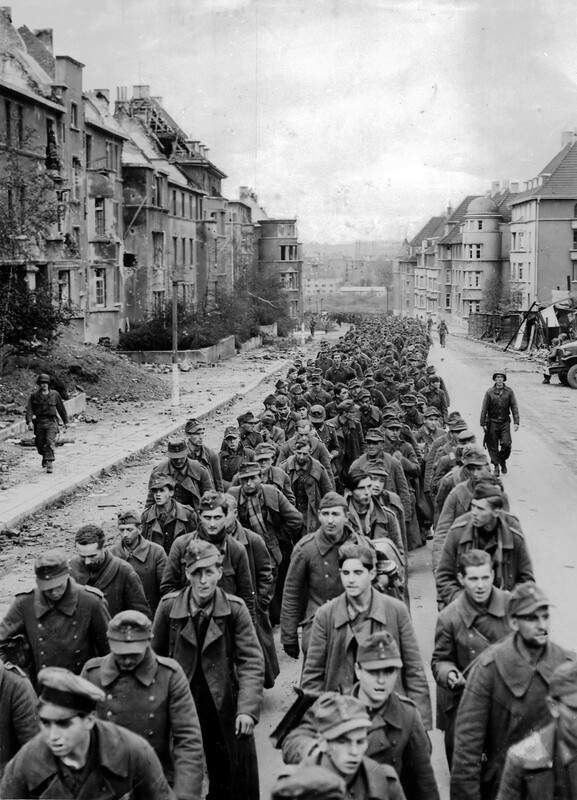 The battle for Aachen took longer than was expected and the cost was awful; 5,000 casualties on each side, and although the town had no military uses the psychological blow was huge. Aachen was the ancient capital of Charlemagne’s ‘First Reich’ and taking it was a huge step toward the end of the war in Europe. 11 responses to On This Day…October 21st. Well, yes, it does – sadly not that many people actually learn from it. First they gotta teach it. Isn’t that the truth………………. My sister’s kids told me that their High School history books covered all of WW2 in two paragraphs !!!!!!!!!! How sad (and infuriating) at the same time. Another excellent retrospective, David. That Dornier is quite a beast! I remember visiting Aachen, but I didn’t know its’ significance in WWII history. I only knew that Aachen has been both German and French over its’ long history. If you took the tail and wing of the Dornier Do X you will have a u-boat (or Captain Nemo’s ‘Nautilus’). Does that Dornier have 12 engines ? . Great set of images Dave. Yes, 12 Bristol Jupiter radial engines, 6 ‘pushers’ and 6 ‘pullers’. LU three were built, nd as you can imagine they were beset with accidents. I’m really looking forward to these posts now, David! I’ve become particularly interested in photos taken by soldiers using their own cameras – surprisingly large numbers exist from the German forces – especially early in the conflict when they were experiencing victories across Europe. Anyway, looking forward to your Do X diorama…..
Thanks,, Paul. I think there is something very powerful about seeing these images through the same lens on the same day as they were captured. Regarding that dio…where’s my matchstick collection?